The Portland Timbers open their 2014 MLS season on Saturday night at the newly christened Providence Park, where they’ll be sporting their classic new retro third kits. The push for the Supporters’ Shield and MLS Cup is looming on the horizon, along with – for the first time in club history – CONCACAF Champions League play. Here are your 2014 Portland Timbers. You can also catch the video season preview for Portland Timbers at MLSsoccer.com. Donovan Ricketts (Honorary Member) – Remember Troy Perkins? Vaguely, maybe. Ricketts has been everything Portland could have hoped for when they snagged him from Montreal in mid-2012. Ricketts was Caleb Porter’s first transaction, an auspicious sign of things to come. Futty Danso – At the moment, Danso is slotted in as the Timbers’ third center-back. He usually is to open a season, but he usually finds his way onto the field one way or another before it’s all said and done. The longest tenured Portland Timber. Pa Moudu Kah – When the Timbers picked Pa Kah out of the Middle Eastern wilderness in the middle of last season, few could have predicted he’d become one of the central leaders in the Timbers’ strong locker-room – a sort of third captain behind Jack Jewsbury and Will Johnson. Kah has his moments of insanity, but he’s as strong as they come. He’ll start at center-back next to Norberto Paparatto. Jack Jewsbury – Jewsbury, steady as she goes, has solidified his position as the Timbers’ first-choice right back. Still very good on the ball, his sharp positional play mostly covers his lack of pace. Jewsbury is one of those guys you want around. Michael Harrington – Harrington has totally resurrected his career, with a strong 2013 culminating in a call-up to the US National Team January camp in Brazil. Harrington has returned with confidence and he’s never played better. Norberto Paparatto – Portland wanted to acquire a starting caliber center-back this offseason with international experience and size. At 6’4, the former captain of Tigre in Argentina fits the bill. Paparatto’s height is important on a small team, and he’s very good with his feet – a highly valued attribute in Portland’s system. A key player. Diego Valeri – The maestro is back for an encore after a stellar 2013 that saw him win MLS Newcomer of the Year, score 11 goals and notch 13 assists while playing hurt during the second half of the season. Valeri is the Timbers’ #1 playmaker, and everything is smoother with him on the field. He needs to be healthy and playing well for Portland to win silverware. Maxi Urruti – The Timbers traded for Urruti towards the back end of the 2013 season. He immediately provided a spark up top, chasing the play, creating turnovers, and getting a cheeky flicked game-winner against the LA Galaxy. 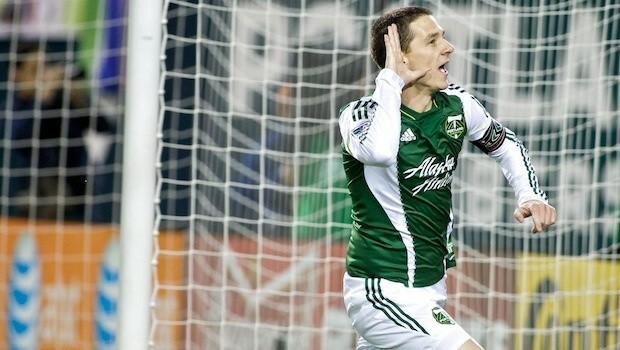 But Urruti is small and slight for a forward, and he doesn’t touch the ball all that much in the Timbers’ offense. To be effective, Urruti has to score – and he’s really the only option the Timbers have up top. Gaston Fernandez – More pizzazz – as if the Timbers needed another creative playmaker up top. Fernandez is a wizard with the ball at his feet, and he’s going to make people miss and get fouled a lot this year. The question is how will he fit in with the rest of the attacking core? Caleb Porter – The boss won MLS Coach of the Year in his first season in the league. What will he do for an encore? It’s going to have to be pretty impressive. Darlington Nagbe – He’s one of the most naturally impressive soccer players you could ever hope to come across. He never loses the ball, rarely makes a bad pass, and can take over games with his slanting, slaloming runs. And yet he hasn’t put together that perfect season. He hasn’t quite hit peak consistency. Maybe this is the year Nagbe becomes one of the best players in the league. Ben Zemanski – He’s improving. Still in his early 20s, Zemanski has a comfortable role as a central midfield deputy. In a few years, he’s an MLS starter. For now, he’s a useful backup. Steve Zakuani – The acquisition sounded awesome on paper: A former number one draft pick with a ton of natural talent but bad luck with injuries leaves Seattle to skip across the state divide and is reunited with his college coach and teammates in Portland. It still sounds good today, but Zakuani hasn’t played at all in the preseason due to injury. When he gets back, will there be a place for him in the team? Michael Nanchoff –Nanchoff’s loan to Sweden last year was productive. Regular game-time and a central role were beneficial. He’ll be scrapping for substitute minutes and cup starts. Bryan Gallego – The newest member of the club and a Homegrown signing, Gallego is a defender for the future. Diego Chara – He’s been at the center of what the Timbers have done well throughout their MLS existence. No one runs as fast, or as much, or as productively as Chara, who is as important to defense as he is to attack. He’s Will Johnson minus the snarl – and goals. 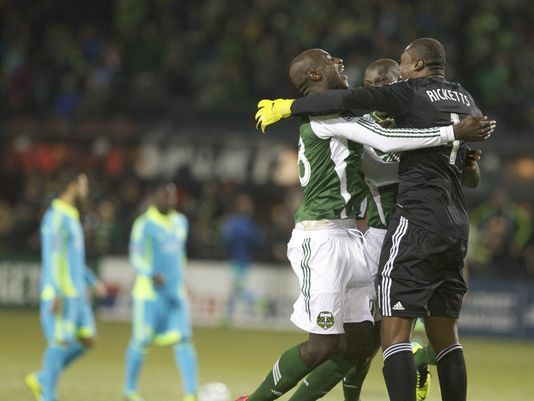 The biggest running subplot of Portland’s 2014 season? If Chara can get a goal. Despite hardly missing a minute, he hasn’t scored since 2011. Will Johnson – He had a career year – a sort of coming of age – in 2013, pouring in goals, setting off opponents, and leading from the front. Can he keep it up this year? Or will he cool off? Schillo Tshuma – Big things are expected out of the Timbers’ first round draft pick, who has quickly drawn comparisons to Darlington Nagbe. It appears that he’ll be one of the first attacking options off the bench. Tyler Peay – The big center-back from Washington did well in camp, and may see time in the US Open Cup. Alvas Powell – For all intents and purposes, Powell is a rookie this year. After all, he’s the Timbers’ youngest player at just 19 years old. It appears that Powell is being groomed to step in for Jack Jewsbury as the Timbers right back of the future, but it’s unclear if he’ll play much of a role this season. Kalif Alhassan – Long regarded as the gleaming prospect, Alhassan is getting older. This will be his fourth MLS season, and in those for years, he’s still a super-sub. Certainly, he’s made strides in game awareness and defensive work-rate, but when will Kalif fulfill all that promise that he clearly has? Rodney Wallace – The Timbers’ breakout star last year, Wallace tore his ACL against Real Salt Lake, an injury which has probably cost him his World Cup dream with Costa Rica. When Wallace gets back in the summer, the Timbers will have missed his dynamism and style of play. Frederic Piquionne – The Timbers brought this guy back for a reason, and they don’t bring old Premier League veterans back without good cause (hello, Mikael Silvestre!). Piquionne is a change of pace up top with his size, heading ability, and prowess inside the box, but will he be used? He hasn’t impressed in the preseason, and Porter has shown a preference for Fernandez as a false nine over him. Jorge Villafaña – A player Porter knows from his time with the US-U23s, Villafaña is versatile defensive cover. Andrew Weber – A former Sounder and Amazing Race contestant, Weber is a downgrade from the retired Milos Kocic as backup goalkeeper. Jake Gleeson – Figures to be loaned out to black-sheep developmental club Sacramento FC. 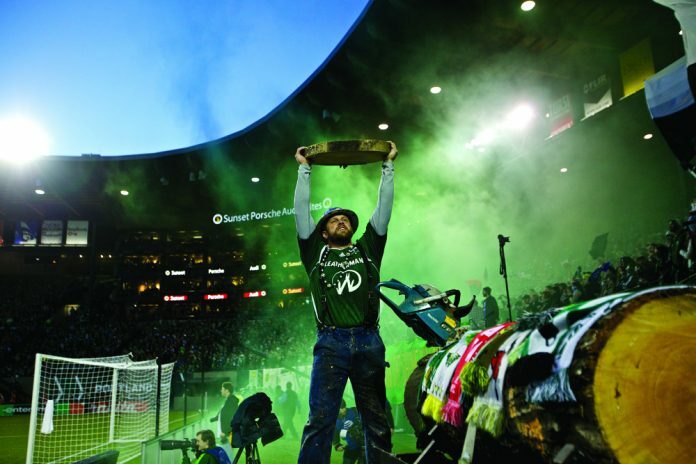 Portland Timbers kick off MLS 2014 on Saturday 10:30pm EST at home to Philadelphia Union – you can follow the game on MLSsoccer’s MatchCenter or watch it on MLS Live. This content series is sponsored by MLS. Dempsey As USA Captain? A Failure.